Surrounded by biological family. Second row: Cathy (in the orange cap). Front Row: Uncle Buddy (86) and Uncle Jean (80). My friend Cathy is a retired judge in Florida. At first meeting, you notice that her personality has a kick. Call it spunky, self-assured, outgoing, or whatever you choose. There is a quality about Cathy that exudes, self-confidence and a comfortability in her own skin that few people have. Cathy is also adopted. We grew up in St. Petersburg, Florida, attended the same elementary school, high school, and university. Our paths diverged after college, but we recently reconnected via Facebook. That is when she told me the amazing adventure of meeting her biological family for the first time. When she told me her story, I knew this is one for the My Roots Foundation family. 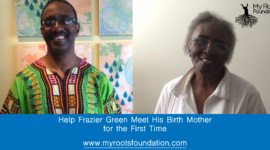 Last year I gave you the story of my old college roommate, Frazier Green, and his reunion with his birth mom after almost 60 years. Both Frazier and Cathy, as it turns out, had moms who wanted a better life for them. According to the American Adoptions website “When a woman places her baby up for adoption, she isn’t making the choice to give up. 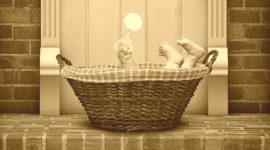 Instead, she’s choosing a life for her child,” The decision for a birth mother to place a baby up for adoption is often an act of love that put a child’s needs ahead of their own desires. “I always knew I was adopted, I don’t remember ever hearing the word for the first time. My parents must have just used the word around me as a baby, usually with the phrase “gift from God”. Cathy explains. Cathy has always cherished her adoptive parents as the first and only people to care for her and show her unconditional love. When Cathy talks about her mom and dad, she beams. They truly loved her and made her feel loved, protected, and special in every way. Even as we talked on the phone about them, I can feel the radiance coming through as she relates how much she loved the only parents knew. Cathy signed up for a DNA test on Ancestry.com. When her ethnic admixture results arrived, she was surprised to learn of West African and Scandinavian ancestry. The Scandinavian part makes sense when you consider that in 1916, Denmark sold St. Croix, St. Thomas, and St. John to the United States. This ‘close relative’ contact listed his occupation and location so she quickly Googled them and began researching. This lead to a life-altering phone call. She discovered that her biological mother has passed away. Many of her mom’s family discovered at probate that there was a baby girl that had been put up for adoption. Suddenly Cathy’s biological family was growing, first a ‘close relative’ cousin and now – siblings. Before long she discovered her biological maternal grandparents had 3 children; her mom, and 2 boys. The boys (Buddy and Jean) are still living on the island. Through this cousin and two uncles, Cathy went on to learn of the circumstances of her birth and adoption. She learned, her dad tried to push her mom out of a moving car. The pregnancy was under less than ideal circumstances and her mom knew she had to protect the child she carried. Her mom had a connection through a friend to Catholic Charities. The friends husband was in the military, assigned at MacDill Air Force Base in Tampa, FL. Her birth mom left her baby with Catholic Charities in Tampa with one very specific instruction – she was to go to an educated family. Choosing a Better Life for Her Baby. They were very good to her. 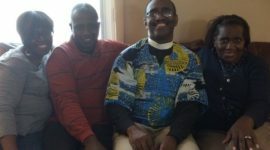 A successful couple, Cathy’s adoptive dad was a dentist and her mom was the first African-American to receive a doctorate from the University of Florida’s College of Education. Cathy’s folks were just what her birth mom wanted for her baby girl. Meanwhile, back on St. Croix, Cathy’s biological mom, went on to marry and have 5 other children and became very accomplished, also in the field of education. As she walked around the island, Cathy found it a bit amusing when people would stare intently at her and then smile. There is no doubt in anybody’s mind who she is. “You look like your mother.” On top of that, her uncles tell her that she shares many of the same mannerisms and gestures that her biological mother used. As we close out our interview, I asked Cathy if there was anything she wanted to say to others who might be searching, or considering a reunion. Interested in searching for your birth family; let us know how we can help. Also, check out these resources mentioned on the My Roots Foundation website. 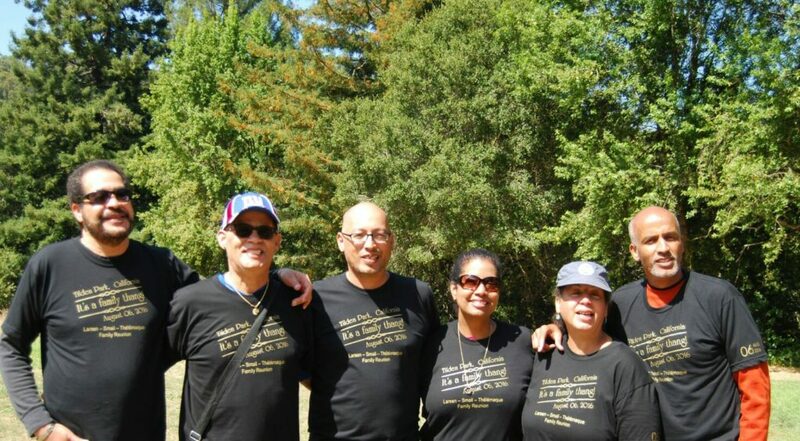 My Roots Foundation is a 501(c)3 nonprofit organization focused on honoring our ancestors by the discovery, preservation, and sharing of their lives and stories. We offer an intimate approach to discovering your heritage and equipping you with knowledge to pass down to the next generation.